The business owner from Russia bought the president's former home in West Palm Beach during the financial crisis of 2008. WASHINGTON — Two companies owned by the Russian oligarch who bought Donald Trump’s former Florida mansion filed for bankruptcy protection in North Carolina Friday, adding to the mystery about the firms and the rich Russian behind them. Dmitry Rybolovlev has drawn attention not only for his 2008 purchase of Trump’s home for nearly $100 million, but also for the fact that his Airbus 319 intersected with Trump’s plane at U.S. airports several times last fall. McClatchy reported in March that his plane had been in the Charlotte area twice during the 2016 presidential campaign at the same time as Trump’s. Rybolovlev’s spokesman first called the crossings coincidental, later confirming McClatchy’s reporting that he was the main shareholder of a battery plant in Concord, N.C., just outside Charlotte. Trump and Rybolovlev deny knowing each other. The battery plant is the most prominent physical manifestation of the companies that just filed for bankruptcy, Alevo USA and Alevo Manufacturing – U.S. arms of Alevo, which is based in Switzerland and part of the Rybolovlev empire. The oligarch’s far-flung holdings include the Monaco soccer club, a Greek island, New York real estate and Trump’s former West Palm Beach mansion. The Charlotte Observer broke news of the impending bankruptcy filing Friday, and Alevo’s website was replaced with a single page saying the two U.S. subsidiaries sought “to achieve an orderly liquidation of their assets and maximize value to pay their creditors.” Alevo filed under Chapter 11 of the bankruptcy code, allowing the company’s new predominantly Russian management a say on which assets are sold and how. Very little about Alevo was ordinary, including its top shareholder and management team. Alevo was established in Boca Raton, Fla., in January 2009. Later, Alevo USA and Alevo Manufacturing were registered in Delaware, which requires little public disclosure about privately held companies. In Concord, Alevo promised to make 40-foot lithium ion batteries that resembled shipping containers to store solar-generated power. The company bought an old Philip Morris cigarette plant for $68.5 million, quickly sold it, and then leased it back. But it was far from the Mid-Atlantic States where it was trying to sell its products. Alevo’s management team had a few American energy veterans but was dominated by Russian associates of Rybolovlev with no background in power generation, electricity markets or the grid. Few of the large batteries were delivered to clients. The Maryland city of Hagerstown is the only publicly acknowledged recipient of a GridBanks battery. The Delaware coastal city of Lewes has been waiting for months to receive its battery, which it planned to use to fill in power supply during times of peak usage or outages. “Our contract is such that we don’t have a lot of financial harm coming to us,” Darrin Gordon, who heads the public works department in Lewes, said in a recent interview. Last April, the U.S. Trade and Development Agency announced a $1.6 million grant to Alevo and a little-known British firm, Xago Africa, to study the feasibility of exporting its technology to a remote part of Kenya. McClatchy has learned that the grant had been pursued by Xago Africa through the U.S. Embassy in Kenya. But no money had been provided because the proposal was held up by the agency in a secondary process. 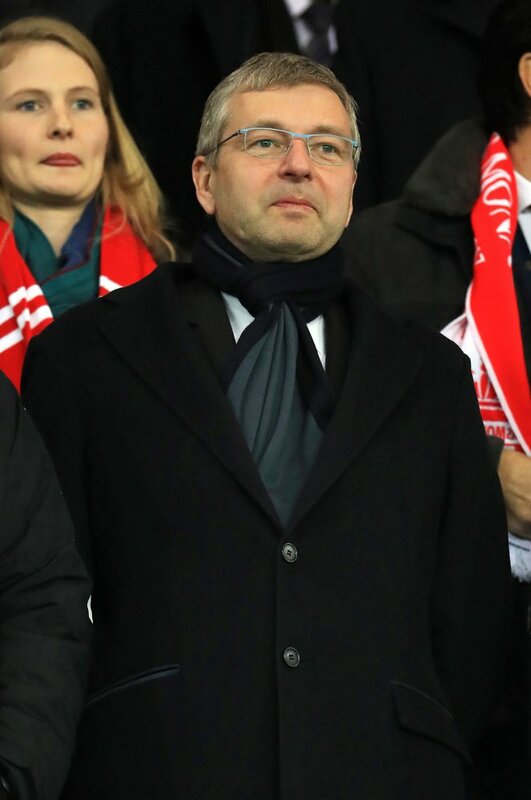 Rybolovlev remade Alevo’s corporate board with top executives of his former fertilizer company, Uralkali, which at its height controlled about a fifth of the world’s production of potash, which is used mostly as a fertilizer and in soap products. Rybolovlev sold it in 2010 for a reported $10 billion; some news reports have said Russian President Vladimir Putin forced the sale.